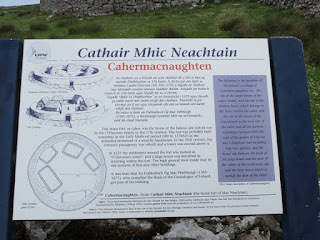 Plaque at the ruins of Cahermacnaughten Brehon Law School, county Clare. The below spontaneously written text began as a reply to a question that was left on a 1800 word text on the topic of Writing Workshops and Publishing, composed by Cork poet Thomas McCarthy, and published on his Facebook. I think this is a more appropriate platform for it due to its length. In response to McCarthy's public post, a Facebooker asked in the comments: "Maybe the question should be, why do a workshop at all?" And it was answering this question that generated the text below. There are as many different answers to that question as there are participants at a writing workshop. Each person having their own unique reasons for being t/here. And the great thing about the internet is that the concept of what constitutes a writing workshop, indeed, what constitutes the act of 'publishing' itself; has radically altered, broadened, and changed in a dizzyingly short space of time; exponentially opened up, expanded, and the entire poetry publishing model has been inverted over the previous decade and a half. From an elitist corporate overwhelmingly male model, in which a handful of esteemed and experienced culturally conservative literary gatekeepers and patrician Judges sombrely sifted, conferred, and chose what few submissions got plucked from a slush pile, put into print, and declared worthy Award-Winning fare; to a self-publishing populist poetry model in which people from previously underrepresented groups, genders, excluded communities, and demographics, and often with little writing experience; are finding and creating global audiences for their work using personal Facebook, Instagram, Twitter, and social media accounts. Reaching a vast number of readers across the world that the patrician old guard would never have dreamt was possible during the Heaneybopper heydays. The vast majority of which did not at all anticipate, foresee or predict the contemporary shift in readership, style, and crop of virally successful new young voices publishing on Instagram and other popular social media platforms, that achieve a global awareness for what they are doing by writing handfuls of fuzzy aspirational and combative declarative lines woven pasted onto, for example, a photograph of themself bleeding through their pants whilst menstruating. And so in the contemporary age of social-media the only borders, barriers and restrictions about what and where the writing workshop is, exist solely in our own imaginations. When I began attending writing workshops I was very lucky because I'd only been writing a short while, and fell nine months after starting, more by accident than design, a week after 9/11, onto a three year full time joint Writing Studies BA program in a small English market town in SW Lancashire, just over the metropolitan boundary of Liverpool. That was at the very bottom of the league for ambitious literary luvvies, not least because it was the headquarters of the Linguistically Innovative Poetry School at Ormskirk's Edge Hill University. LIPS is the avant-garde English sibling of the L=A=N=G=U=A=G=E Poetry movement, an experimental branch of literature birthed as an offshoot of the British Poetry Revival, and at the time that I was there LIPS was considered the most marginalized, mocked and ignored of all British poetry schools. Considered as fashionable as a drisac doggerelist and 'low lampooner' seeking a patron in an oaken Poetry Palace filled with fabba & fabba ollúna. And most classes in the various writing genres we studied had a writing-burst component to them. The entire class would respond to a stimulus. Sometimes a text, at other times an instruction by the tutor. And for twenty minutes we would write extempore, collectively enveloped in the cerebrally silent hum of aí, feeling an experiential fore-hint of its future more realised form of imbas forosnai. And at the end, if we wanted to, we'd read out aloud to each other what we'd just written. We had guest writers, our weekly tutors, and all in all because it was formal learning spread over three full academic years, six semesters, by the time this glorious first three years of literary evolution and experience had ended, all on the course had had enough time and been led to discover what level of commitment and devotion to the Tuatha Dé Danann craft of the people of the goddess Art we possessed. The classes of the writing studies modules of the three year curriculum were essentially individual writing workshops. Three and four a week. And by the time I left they had imbued in me a thorough understanding of what the writing workshop culture is all about; along with a much more intensely positive and comprehensively focused academic experience than most two-leaved fochloc starting out at the same poetic grade and stage of the literary language game. And, in my own mind at least, facing a minimum of another nine years on the long road of learning before reaching whatever impossibly far off and unimaginable golden circle I at that time had no clue I'd end up in praising Creation for the blessing of life. A perfect way of beginning to write in this educational setting, rather than scribbling alone in cafes. And a path I ended up falling onto more as what seemed like at the time an accidental act of random dán, gift, poetry; and, in one of its original contexts - 'fate'. As we learn from an ancient druidic saying: 'one cannot drown whose dán (whose poetry, whose fate) it is to be hung'. And this perfectly flawless solely positive first three year start instilled in me enough personal confidence to come to Dublin filled with the belief needed to continue my bardic book learning, and throw myself in at the deep end of global writing in a cultural whirl where many of the most pretentious and talented literary luvvies in the English speaking world practice the art of failing, failing better, and by the sheer persistence of spiritual will, joyfully turn the material of personal sorrow and failure into published poetic art. Without the experience of three years daily workshop writing, I may well have fallen for the guff, bluffs and feints, the elevated displays of bardic self-importance, the over the top wafty rhetoric about mystical teaching practices; mistaken the grave silent nods and body language when conversationally investigating the mind-boggling topic of the literary filidh poets' tradition and curriculum - for a deep familiarity with the subject, rather than a total ignorance of it. And perhaps not seen through the waffle to the nub of the matter with lots of local 'bard(s), then: without the prerogative of learning, but intellect alone', who create, host and operate writing workshops outside the context of formal education. It depends what a person's expectations are about a workshop, what level of experience the classes are pitched at, who the tutor is; and what bardic brand of learning and contagious strength of inspirational scholastic magic the tutor displays and deploys to enliven, energize, and spiritually enthuse the attendees with when they are speaking seeking to spark a spiritual fire inside the heads of those present at a workshop. Most one-off high-priced masterclass and beginners' writing workshops, understandably, can be little more than praise and positivity sessions. Infusing a room full of strangers with an authentic LFC belief, can do Anfield boot-room ethos, mixed with the musical attitude of a Northern Soul all nighter; and a hint of Celtic mysticism in the flight of an Achill hawk circling a ghost-filled bothy above Sraheen's bog. And by the power invested in ye by the sovereign Muse above in heaven, self-create a wholly imaginative and magical head-space where belief might grow in the mind of a bardic beginner being treated seriously in their dream of reaching neath a Macroom moon for the unimprovable original familial FitzGeraldean speaking voice. In the home of this faery woman of Ireland's people of the goddess Art, where they are encouraged to just do it. Be themselves. Write. Other regular workshops can be more about a group of writers offering support and suggestions about works in progress, acting as editorial midwives to each others publishing dreams. As McCarthy writes in his Facebook post, where a community is created, a sense of collective identity and belonging, of being in the trenches and at the cutting edges with literary allies all willing one another on into print, publication; and sharing in the happiness that comes when a writer is blessed to never walk alone by the Muse, and experience success measured in spiritual eloquence. And if s/he is lucky and talented, brings material blessings from a patron or from selling what we write. Robert Sheppard, who was the Poundian hierophant at the first church of one's own formal literary learning - with a curriculum at LIPS consisting solely of modern experimental American poetry and poetics; used to remind us that just by writing, to have actually ended up in the classroom practically pursuing our dream of writing; we were in a tiny minority of the sixty million working-class English people who actually pick up a pen and sling the fingers across the tabs of our keyboards. He used to say that the most potentially interesting and greatest writers in the world, the ones with the most fascinating experiences locked in our heads, the ones with the craziest non-standard memories, rarely make it to writing a word down. And those that do, the ones who before they write a word spent twenty years making their way around the world on rollerskates, washing cars in Peru, valeting in Las Vegas, croupiering at casinos in Macau, swimming with dolphins in the Atlantic, working at animal sanctuaries in Iceland, teaching English to business execs in China, crewing fishing trawlers in the Bering Straits, waiting tables in Black Sea beach resorts, criss-crossing a continent on Amtrak trains and Greyhound buses, wielding picks, shovels and hods on building sites, or scoring fixes as a junked up down and out living hand to mouth in squats; may well stand apart in print from the continual parade of young and gifted literary geni spotted in their teens at university, snapped up by a mentor and pampered into a PR machine to be then praised packaged promoted publicized and sold in public as a next otherworldly voice from the award-winning tribal assembly lines and tuatha de academic sausage factories pumping out product from highly competitive, insular and exclusive mafia like literary operations spread across the cultures of our home planet. And however that works, whatever method is successful and gets people at a workshop joyfully writing, is the right way. Be it Bob Cobbing ohmming and reading the walls at the Writers Forum, or a formal lyric ollamh of the global broadsheets and smiling public woman injecting her charges with spiritual belief just by physically being in the same room as them. At the end of the day how we view this matter of workshops and writing is down to our own spirit, the thought in our head, the swirling cloud and emotional weather within that we draw out into letters. And when at our best, most spiritually graceful, eloquent and human, in the words of the late great Newcastle West poet, Michael Hartnett, we map the contours of our imagination 'closest to thought'. But it is easy to be cynical, especially today on this (I kid ye not) official International Grumpy Fucker Day, and fall into the trap of labeling all purveyors and participants at the writing workshop as frauds and fakes; networking careerists without an interesting word to publish. As the noted grumpy fecker and Monaghan poet, Patrick Kavanagh, called this self-defeating joy-killing brand of literary attitude, after he'd had a lung removed and came to understand life is a precious gift too short to waste being negative about what we love: 'the bitter prayer of satire'. We all feel that way at times, even though our generic 'so pleased for you', 'wonderful news', 'wow', 'amazing' comments on social media would seem to indicate we do not. But the shortness of them, the lack of any extended conversational substance, and dearth of sincere critical engagement, indicates, to me at least, that most of us social-media Facebook luvvies, are merely posturing and presenting a carefully crafted one dimensional projection of our idealized intellectually warmest self as a member of Her community, and just trying to stay positive behind our masks concealing all our shared petty human frustrations, collective competitive jealousies, and quirky personal hatreds. The swirling emotional weather system within each and every one of us that is the very source of all our letters that make it into print. 'Fi, toxic in satire, and Li, splendor in praise, and it is various the poet speaks'; as we learn from Cormac's Glossary, is the very definition of the word poet. The two sides of our real minds, in the literary sport of praise and blame, joy and sorrow, the speckled art of Irish poetry. And though at times we may not feel it when we lose sight of it and become sidetracked by the negative portions of our mind's phantasmagoria; the singular magic of writing is that it is a tool with which we can write ourselves from one emotional state to another. A self-help program that costs nothing at all. Lose ourself diving into the imagination and playing with language. Then surface hours later after being entranced, time suspended in our very own Tír Tairngire, Land of Promise. A one person sport with self. The general aim being to start, keep going, stop, then start again, write better, and better; with the overriding human goal being to write purely to get, keep and stay as happy as we can in this overcrowded world we live in as one of seven billion human beings. Keeping in mind how lucky we are, just to be in Ireland at this point in its history, to be in a generation that escaped what grim fates our ancestors suffered, blessed to be living in one of the richest countries in the world. To give ourselves a voice, not end up just another one of the sixty million literary silent working-class English people with more brains and spiritual class than all those more privileged from our English culture with some grade of literary voice. That will and do mock, sneer and dismiss the silent majority of English lions whose sovereign interests the posh-voiced Etonian donkeys have betrayed, sold out and stolen. a waste of time for somebody your age. infantile, like your peasant pilgrimage. with signatures on your own frequency .."
I am no booster of the person I think it is obvious has played a crucial role in bringing about the critical shift in US poetry from dead white male Ivy league academics to the "multicultural inclusiveness” being celebrated in this piece at The Atlantic, How Poetry Came to Matter Again, and I have many times satirically mocked them. Mostly when joining in with the deprecation of him by an ex-Facebook poet-friend who has a real animosity towards the most important poetry editor in the US. But reading the linked article above, it struck me that nowhere in this opinion-thesis charting and explaining the how, what, when, where, and why of the rise of Millennidentitarian SJW poets from a fringe to a mainstream consciousness; does the name appear of the one person whose advocacy, I would argue it is obvious, has been central to, and most responsible for, changing the critical focus of US poetry away from the continual celebration of a handful of middle-class male academic poets, and onto what were previously the marginalized and underrepresented communities and schools of poets that were wholly outside the tent of Official Verse Culture in the US. Don Share, Editor of Poetry, the oldest, richest, and most critically regarded monthly in the world dedicated to the publication of verse, who for six years was the Senior Editor and theoretical second in command to the former Editor of Poetry (2003-13), Christian Wiman. Share began his tenure as chooser in chief at Poetry in 2013, after taking over from his former boss, whose own narrow poetic tastes and publishing decisions during his decade in charge of setting the tone of US poetry, were ultra-conservative. Wiman's choices ran to publishing month in month out the usual merry-go-round of white Ivy League male insiders of Official Verse Culture, with the odd token female, black and ethnic minority academic thrown in. Share however within a short space of time had totally overhauled and changed the house publication of the Poetry Foundation, ditched the dead white male Ivy League academics, and turned it into a contemporary poetry publication that is the polar opposite of what it was under Wiman; publishing many of the previously outsider poets mentioned in Lichtenstein's piece. The Atlantic article is, I would argue, the most recent iteration of a very cyclical 'Poetry is the New Rock N Roll' meme. One that gets written and published in a prominent Establishment magazine every few years; and, in this instance, contains the names of young ambitious hip hep and wholly American poety poos doing their thang on the other side of the Atlantic. The poets advertised in these pieces are usually also friends and/or colleagues of the crafty composer of the prose vehicle pushing a narrative that there is a movement of literary originals and outsiders afoot, and something radically new in the realm of poetic language is occurring. The creation of a collective poetic buzz, current and wave emerging into mainstream consciousness. Most of them, inevitably, rather than prophetically delineating the true tides and contemporary currents that end up delivering into a true literary movement the namechecked newbs to full Literary Establishment status in the golden ollavic circle, are little more than puff pieces and boosterism of the author's fellow ambitious colleagues strategically marketing themselves to a wider audience. However with the indiscriminate-opinion masquerading as analytics model of previous decades now redundant, the author of The Atlantic article, Portland based Oregon writer, Jessie Lichtenstein's claims are situated on firmer critical ground, and are communicated in a more persuasive and plausible form of literary analysis than before. In the fact that he identifies the measurable role YouTube and social-media have played in the emergence of the diverse bunch he is praising. The one core difference between now and pre-Facebook is the fact that a majority of the poets mentioned in this piece have bypassed what is increasingly a redundant literary-gatekeeper model of poetry publishing; as to get their poetry published, heard and read the emergent poets in the age of social media have created their own audiences on the strength of their live recorded performances and writings alone. Cutting out the previously all powerful curatorial taste-makers and middlemen of the legacy media publishing process, by speaking directly to the Reader online, without the need of submission to, acknowledgment from, or validation of the editorial potentates and pashas of Official Verse Culture. So the jury is out on how accurate the piece will turn out to be in the years to come. But it is refreshing to read of what by now after more than a decade of debate is what appears to be the fully emerged new model of poetry and publishing that has changed the very concept and meaning of what constitutes being 'published', and opened up the art form to anyone with a phone camera, keypad and internet connection. One that has silenced the doom and gloom literary experts of legacy media, that during the mid-Noughties were wailing like Medieval scribes at the arrival of the printing press, decrying the pesky internet poets and claiming the sky was falling in with the opening up of literacy to the masses. Arguing only a tiny elite of trained custodians of the real literary Gospel, i.e., themselves, could possibly write anything down. A relatively recent and far more boringly dense and pretentiously elitist variation of this periodic 'poetry is the new rock 'n' roll' trope, came in 2009 from the pen of a Harvard bardic bluffer that doesn't know his arse from his Auraicept na n-Éces, the academic critic, luvvie and literary artist formerly known as Stephen Burt. Now Stephanie Burt, they have most recently in the news for their craven and utterly insincere 'apology' for what they claimed was a momentary lapse in editorial 'standards' (as if they have any in the first place) for publishing a few weeks ago in The Nation a wholly harmless persona poem by North Dakota, Fargo poet, Anders Carlson-Wee. That a lot of equally insincere social-media trolls got professionally offended about on behalf of a slew of communities; and cowed by a mob of hate-filled joyless morons Burt grovelled for forgiveness and hung Carlson-Wee out to dry with their Nation co-editor. Revealing, in one of the most transparently cowardly and shameful events in US poetry this summer; exactly what the ancient speckled art of praise and blame really means to them, and what the true critical quality of poetic eyes and literary integrity they possess. None whatsoever. A decade before apologizing to bardic hate-preachers for the thought crime of not being attentive enough to the sensitivities of the various communities a tiny few people arrogating themselves membership of were pretending to be offended on behalf of; Burt published a pseudo-intellectual piece of cultural propaganda in the Boston Globe, The New Thing (2009), in which he claimed and prophesied that a few crusty dead-white all male academics and Ivy League-like pals of his were at the forefront of the latest wave of poetic superlatives practicing beyond the cutting edge and articulating a future literary movement in American poetry that was gonna catch on and become: "The New Thing." Dear Anon. Thank you very much for this kind calm considered reply to the article titled Bó land Heaven and the Bardic Blindspot. I understand your pain. I too for many years as a younger person, felt the exact same way. Until luckily, a door was self-opened and the path was presented by one's Self leading step by step into what I had always wanted to be doing but felt someone from my working-class English background was too thick, too uncivilized and too common to ever be allowed to do. And now of course I understand what the superlatively human poet Seamus Heaney meant in his essays where he tells the reader in a warm kind playful but deadly serious and eternally present voice, in an intimate one on one manner; that the writer must find our own agency within. Create our own critical literary operating system. What New York feminist critic, scholar and poet, Rachel Blau DuPlessis, describes in the final italicized words of an essay on poetry and gender, 'Overthrow': "poetics (that) gives (the writer) a permission to continue." The writer creating as Boland did, their own self-sustaining path into spiritual sovereignty. Because the point and purpose of (writing) poetry is about spiritually ennobling oneself from within our own imagination. And although in the modern superficial whirl it can seem to be bestowed from outside ourselves, by the awarding of nomenclature, titles, and exterior baubles that gift a brief sugar high of personal pleasure; the real stuff of personal spiritual and literary sovereignty comes from within our own minds and imaginations. Although sometimes poetry and writing can seem like a team sport, it is, when all is said and done, when we are all gone, a solitary individual pursuit and imaginative game played with self. The future reader, for those that have any, cares not a jot who our literary friends and enemies were, and if they do, they want only comedy not the earnestness of quotidian pobiz politicking. As they are interested only in the eternal present of the living written word. And nobody can write that for us, only the individual mind and imagination can create its own poetics and permission to continue on their own path without having to ask others if they are allowed to follow their own instinct. One that reaches eventually the heights of uncommon sovereign eloquence; not through the applause and acclaim of literary friends but through hard work and concentrating on doing the business end of poetry; not the secondary and what can often become the diversionary social-side of PoBiz. Hard work is better than bright wit. As we learn from the Gaelic to English translations of Wisdom Sayings of the 8C Hiberno-Saxon King, Aldfrith of Northumbria. Who was born and reared in Ulster, his father Oswiu of Northumbria in exile in Ireland, and his mother a princess, Fín, a daughter of the 7C Irish High King, Colmán Rímid, of the Cenél nEógain sept, whose power-base was Inishowen in Donegal, and their capital, Ailech. Described by Alcuin, Bede, and Stephen of Ripon, as a wise man of great literary learning. And this inner spiritual nobility one attains solely from their own hard work, hammering the books, writing the letters; until, drop by joyful drop the tortuously difficult fleeting ideas become easier to locate, apprehend, inspect and delineate in letters closest to the contours of the original thought which birthed whatever it is one ends up speaking on the page. We must create our own critical literary apparatus, measurements and system; as we cannot rely on others to tell us what is happening in the realm of language. That is the take-away I got from reading nearly every single word the Bellaghy bard published. Certainly his prose. That I discovered and fell in love with first; and which led me to the poetry I had not read much of until chancing across Finders Keepers one afternoon in the Edge Hill University library during the second half of the second third year semester of my Writing Studies and Drama BA. Prior to that I'd virtually no familiarity with his voice. I had heard the name Seamus Heaney alright, being known to me, but that was about it. And once I picked up his book of critical essays, looking for a guru, three years into the writing at university, I knew immediately that this was it, the real thing. And in that moment within several sentences, I found and fell in love with the literary voice of my and millions of others most beloved human poet of the finest bardic order whose own poetic voice serves as the superlative example and model to aim for, for any starting out on their twelve to twenty year apprenticeship in Irish letters. And his prose voice was my soul guide from that moment on. The kindly sage, "a gentlemanly country man", as the Tipperary bardic poet and unacknowledged godfather of Dublin spoken word and slam, Noel Sweeney, describes the Bellaghy bard in his poem, PNO6, recounting a passing moment when he and the chief poet of Ireland passed through a door at the Poetry Now festival in Dun Laoghaire. And in that moment Sweeney, like (I think) Betjeman said of silently sheltering from rain in a doorway with Kavanagh, he felt in that fleeting moment some intimate revelatory wordless exchange of the human soul had occurred as the intelligence of the Monaghan poet shone through the brief shower. And my own silent moments with the voice I trusted most occurring without ever exchanging a word in person; because the Mossbawn mage always told us one on one on the page in his most eloquent and kind critically human literary voice; what ye gotta do as a poet. As the great Northside Dublin, Finglas poet, Paula Meehan, told me, and a couple of hundred others in a public address at the Bank of Ireland Arts Centre before it closed down, during her introduction to a poetry reading by the Southside sister Dublin poet, Eavan Boland, a year after I had arrived in the city of my late mother, Pauline Desmond, nee Swords, in a similar sounding voice my late Cabra mother spoke with, that had an identical cadence and conviction of spirit; how she began exactly the same as both of us, feeling excluded from poetry and writing it. She considered herself too working-class, too common, and from a community where books were something to read and not to be written. My mother was an avid reader, with a working-class North city Dublin accent, background, and that identical fearless warm-hearted straight-talking kindly verbal manner as Meehan; who told a poetic parable of how she imagined the literary world to be a citadel only the socially elite with cut glass voices could enter and practice the art of letters in. Her dream was to be a writer, a poet, but because of her background she had it in her mind that because she was excluded she could only enter the literary citadel by subterfuge. And so she plucked up the courage and approached it, and went around it looking for some side or back entrance, but the walls contained no aperture or opening. Such was her desire to breech the literary citadel and become a writer, she girded herself and scaled up its walls, climbing right to the top, hoping there was perhaps a way in over down through the roof, like Lugh leaping the walls of Tara after being turned away by the gatekeeper, coming in from the sky. But, no, the citadel had no exterior entrance. And clambering down she thought, perhaps there is a way under, a tunnel; surely there must be a way into the literary citadel for someone so talented and determined as our Finglas ban-fili. But, again, there was no way in. Finally, resigned to her fate, accepting her North Dublin Finglas working-class background was excluded, she turned to leave her dream behind and face life in a factory, shop, or office; when she had the idea; that, maybe, perhaps, could she be so bold and daring as to try the most obvious route and go in through the front? Her heart beating, expecting at any moment for there to appear an officious jobsworth in regulation Dublin peaked security hat with a dull bronze badge in the middle of it, wearing a dark siege jacket rumpled, shapeless and indistinct; who would tell her to clear off, her sort could not come in to this top class joint for the high born aristocrats. But no one came or stopped her approach; and when she reached the door, tentatively she knocked but got no answer, and so she pushed the door and as if by magic, it opened, much to her surprise. And even more to her amazement, there was nobody at all there to prevent her from entering the literary citadel that she was convinced she was barred from at birth. The only exclusion was created by her own phantasmagoria and working class paranoia. And I can remember Meehan telling that tale in crystal clarity years later. I am drawn back to the crowded lobby and can see myself stood there as if it is now, looking across a sea of heads and hearing the authentic voice of Meehan speak, with the tall Boland standing in silence by her side. And I hear the wise voice of this national North Side Dublin treasure as clearly as I hear my own mother's telling me as a small boy her aged relatives' tales of her family's great grandparents being evicted onto a boreen at the side of a Mayo cottage in Bohola, with nothing but the rags they were stood up in, her eyes blazing as she told me and my four sisters this; her entire body filled with some ancient spiritual possession, and transmitting it. Some profound lesson of what felt like recent familial reality that had happened only hours earlier. That seemed odd and out of place to me as a young boy in Lancashire. A deep well of passionate Irishness passing down the single most important point of truth and historical memory I now understand exactly the import of as a very privileged literary lore keeper led to the citadel wholly by a maternal spirit of our faery woman of Ireland always ever present and guiding every letter with me as the gift from an eternally loving people of our mother goddess Art. Who is now in heaven and hallowed be Her name. That we her children cherish for giving by her love these living letters and words of Her's that praise this island O Ireland we inherit its joy and sorrow that flourishes and will not perish but held in heads possessed with Her wholly spirit. And I understand why you claim the Bardic Tradition was a bastion of misogyny and exclusion, you are perfectly right. By today's standards women were excluded from the literary equation. But unless we go back in time and ascertain what these long silent voices had to say when living, we can only speculate and guess. The Tradition may have been male but the art, knowledge, precepts and principles of their literary tradition are ancient, timeless and gender neutral. All one need do with the critical and instructional texts that teach it, is change he to s/he and that is literally it. Once this is done the workings, the learning of it can be had by all. Because once you actually do study, read, write through the lessons, and after sixteen years in English translation, come to cerebrally possess the entirety of the bardic tradition, Coimgne, all the voluminous textual pieces fallen finally into place like a box lid clicked shut; then you experientially have learned all that is taught on the curriculum at the bardic college, and you possess eólas. Acquired by having spent the required amount of time fishing, caught and eaten your eó fis, Salmon of Knowledge, bradán feasa from Nechtan's Well of Segais, ringed by nine hazel trees. They feast on the Nuts of Knowledge, each one containing a total download of the full Coimgne, and which Amergin Glúingel tells the student poet about in Irish poetry's Ars Poetica text translated first from 7&10C Old Irish rosc and prose, only in 1978 by PL Henry, and a year later by Dublin Institute of Advanced Studies Celtic Studies Professor, Liam Breatnach. And this version by the world's foremost independent expert scholar on the topic of Ogham, Erynn Rowan Laurie: "...they cast themselves in great quantities like a ram’s fleece upon the ridges of the Boyne, moving against the stream swifter than racehorses driven in the middle-month on the magnificent day every seven years." under a darksome mist of wizardry." Caught in Yeatsean "waters of emotion and passion, in which all purified souls are entangled". And you come to understand of this ancient North British and Irish poetry tradition; "it's a club that is steeped in history, of spine-tingling glory, and at times, truly heart-breaking tragedy"; but ye keep the faith, kidda, bcuz it's the same as when you are part of Liverpool Football Club; You'll Never Walk Alone. I feel compelled to write that I find the recently published article Bó land Heaven and the Bardic Blindspot, a fatuous and shallow text of almost unequalled condescension and pretentiousness. I think that the linked-to piece of nauseating male privilege is yet another reminder from the Patriarchy of just how culturally fragile a state we the people of the goddess Art are in, and just what barriers and hurdles are out there yet to be overcome. Because this article reiterates to us just how detrimental, elitist, socially harmful, irrelevant and toxically detesable the Bardic Tradition was and remains in the minds of a majority of culturally tolerant, sensitive and inclusive allies and friends of contemporary 21C Poetry. Merely reminding the guardians and allies of contemporary poetry how the patriarchal bardic anti-culture has no place whatsoever in a forward looking modern world aspiring to full inclusion into the arts and creatively meaningful equality for all regardless of socio-economic background, educational status, religion, ethnicity, gender, or experience in the realm of poetry. Poetry is something that belongs to all, not just to cultural elites detached from the ordinary citizen and administering their diktats from on high to the little people. Everything these pseudo-poets of the Medieval patriarchal bardic tradition were, we the people of Ireland and our allies across the world stand proudly and loudly against. The Bardic Tradition is immaterial, pointless, insignificant, and in most ordinary people's opinion, completely unpoetic and very problematic. Thankfully this is now a long dead and gone Ireland that we the allies and guardians of contemporary poetry urge all to not revisit the texts of because this Men only vehicle of oppressive literature is a reminder of our shared collective cultural wounds. A culturally painful, emotionally distressing, obnoxiously offensive reminder of our former exclusion, and wholly irrelevant and uninspiring to all today, particularly the right thinking caring kind tolerant and inclusive artistic person striving to tame the savageness of man and make gentle the life of this world. We the allies and guardians of contemporary poetry have exactly zero interest in this unbalanced and one-sided male tradition. And rightly so. Any that do claim we should revisit this problematic history that is best forgotten and ignored, or argue that it has any place in contemporary poetry, then these uncaring ignorant voices have no business claiming to speak on behalf or in any way represent the future of poetry. And if they do, how, when, and wherever it appears their bardic advocacy and mansplaining will be countered and their arguments proven inherently and offensively unsound, inaccurate, erroneous, wholly mistaken and utterly unworkable by the allies and guardians toiling away at the cutting experimental edge in the brave new art of come all ye 21C Poetry. These divisive and damaging claims that the bardic tradition should be widely read and taught to future Thought Leaders, should be confronted and dismantled in the public square with more rational and calm logical argument and the more admirable, reliable, exceptional and excellently expert ideas of those guardians and allies of literature tasked with making what we serve an inclusive positive cultural force for all who aspire to perform, write and publish their poetry, regardless of socio-economic background, ethnicity, gender, ability, experience, religion, etc. We the Guardians and Allies of Poetry exist and operate today in the age of democratic people power brought to us by the global communications revolution, which Ireland is central to as the home of tech giants and global corporations recognizing the inclusivity and tolerance of modern Ireland as a place to do business. And now, unlike in the thankfully long gone days of an Ireland filled with patriarchal bardic bores most are glad have disappeared; one previously excluded lone minority voice that would have remained silent in those dark dank days of the socially stultifying and injurious bardic hierarchy, can now broadcast itself to the world without having to seek the approval or permission of elitist misogynist enforcers of patriarchal literary privilege, and measure its true cultural value instantly in the number of positive reactions to it in like, love and smile icons. This revolutionary brand new way of determining what is of lasting literary value, being able to accurately gauge the authentic interest a text accrues in the moment of its first utterance and publication, demonstrates how harmful, insignificant, and unrepresentative of the ordinary people the rightly unread writings of the anti-literary bards and socially oppressive pseudo filidh poets really were and are. For example, as a scientific exercise in deciding that the bardic history of Ireland is vastly overrated and inconsequential to all right thinking peoples in the modern era; some allies and guardians of poetry tweeted out the text of a strict straight dan direach verse poem addressed to Edward III by one of the most cited examples from this painfully upsetting and oppressive patriarchal bardic culture, Gofraidh Fionn Ó Dálaigh. Side by side we tweeted out a poem by Wanda Woomahm, an Activist Poet from Chicago, and fearless all-communities rights advocate using the power of poetry to highlight injustice and demand equality for a slew of underrepresented and excluded causes and communities the tireless work of Wanda Woomahm is conveying agency and giving voice to. The results were conclusive. Not one positive reaction for the dead white male of patriarchal privilege, only a question from a talented ally: 'What's this crap?' - whilst for Wanda's heartbreaking piece there were tens off smiles, wows, likes, loves and plenty of "OMG! "s and "amazing"s and "this made me cry"s from the modern audience moved to tears by this heartfelt soulful evocation communicating what it means to be an excluded member of an underrepresented marginalized community today in the United States. Thus proving the contention that the poetry world is a far better place for its friends and allies if the texts of the Bardic Tradition were just erased altogether and replaced with a more inclusive kinder warmer nicer far more caring and profoundly more meaningful brand of poetry we its tolerant wise inclusive allies and guardians promote, praise and publish. I am no booster of the modest and unassuming person that I think performed the preeminent role in bringing about the critical shift in US poetry from dead white male Ivy league academics to the "multicultural inclusiveness” being celebrated in the recent Atlantic piece by Portland based Southern Oregon, Rogue Valley journalist and poet, Jesse Lichtenstein: "How Poetry Came to Matter Again" - and many times have satirically mocked them. Indeed, I have a list of numerous American critics, editors, luvvies and literary poets I want to apologize to when the opportunities arise, who I have satirically mocked in an excessively unpleasant way over the years when one was a very gobby and at times literary loutish student of the ancient bardic arts happily doing here in Dublin the sixteen years it took me to complete in English translation what in the original Gaelic was the twelve year bardic and literary Filí poet curriculum. But reading the Atlantic article it struck me that nowhere in Lichtenstein's opinion-thesis charting and explaining the how, what, when, where, and why of the rise of Millennidentitarian poets from a fringe to a mainstream consciousness; does the name appear of the one person whose editorial advocacy, I would argue, has been central to, and most responsible for changing the critical and cultural focus of contemporary US poetry away from a continual celebration of a handful of monotone middle-class male academic poets, and onto what were previously the marginalized and unrepresented communities and demographics of poets that were until very recently wholly outside the tent of Official Verse Culture in the US. Share began his tenure as chooser in chief at Poetry in 2013, after taking over from his former boss, whose narrow poetic tastes and publishing decisions during his decade in charge of setting the tone of US poetry, were unadventurously ultra-conservative. Wiman's choices ran to publishing month in month out the usual merry-go-round of white Ivy League male insiders of Official Verse Culture, with the odd token female, black and ethnic minority academic poet thrown in. Share however within a short space of time had totally overhauled and changed the house publication of the Poetry Foundation, ditched the dead white male Ivy League academics, and turned it into a contemporary poetry publication that is the polar opposite of what it was under Wiman; publishing many new voices from the previously silently excluded demographics of the poets mentioned in Lichtenstein's piece. The Atlantic article is, I would argue, the most recent iteration of a very cyclical 'Poetry is the New Rock 'N' Roll' meme. One that gets written and published in a prominent Establishment journal every few years; and, in this instance, contains the names of young ambitious hip hep and wholly American poety poos doing their thang on the other side of the Atlantic. Most of these speculative vaticinations, inevitably, rather than prophetically delineating the true tides and contemporary currents that end up washing the name-checked newbs into the critically elite and spiritually balanced ollavic golden circle; posterity, more often than not, proves they were but little more than puff pieces and logrolling by the authorial auspices of their fellow ambitious colleagues, strategically marketing them to a wider mainstream audience. However with the indiscriminate-opinion masquerading as analytics model of previous decades now redundant, Lichtenstein's claims are situated on firmer critical ground, and are communicated in a more persuasive and plausible form of literary analysis than before. In the fact that he identifies the measurable role YouTube and social-media have played in the emergence of the diverse bunch he is praising. The one core difference between now and pre-Facebook slammers, Twitter bards, and Instapoets, is the fact that a majority of those mentioned in this piece have bypassed what is increasingly a redundant monolithic literary-gatekeeper model of poetry publishing; because to get their poetry published, heard and read the emergent poets in the age of social media are increasingly creating their own audiences on the strength of their live recorded performances and writings alone. Cutting out the previously all powerful snobby cerberean taste-makers and pompously imperious middlemen of the legacy media publishing process, by speaking directly to the Reader online, without the need of submission to, acknowledgment from, or validation of the editorial potentates and curatorial pashas of Official Verse Culture. So the jury is currently out on how accurate the Oregon poet's piece of speculative prose will turn out to have been in the years to come. But it is refreshing to read of what by now after more than a decade of debate is what appears to be the fully emerged new model of poetry and publishing that has changed the very concept and meaning of what constitutes being 'published', and opened up the art form to anyone with a phone camera, keypad and internet connection. One that has silenced the literary experts predicting from the doom and gloom department of legacy media; that during the mid-Noughties were decrying the pesky internet poets and wailing like Medieval scribes at the arrival of the printing press; claiming the sky was falling in with the opening up of literacy to the masses and arguing only a tiny elite of trained custodians of the real literary Gospel, i.e., themselves, could possibly write anything down and publish it. On velum, bound in leather and brass. Depending on what language Tradition creates your bardic perception and world-view, and how long you have served at the front line as a souljah in the Poetry Wars, a relatively recent/ancient and far more intellectually dense and pretentiously elitist variation of this periodic 'poetry is the new rock 'n' roll' trope, spluttered onto the digital page in 2009 from the keyboard of a Harvard bardic bluffer that doesn't know their arse from their Auraicept na n-Éces, the academic critic and transitioning literary artist formerly known as Stephen Burt. Now Stephanie Burt, they have most recently been cited in reports from the front line of the Culture Wars due to their craven and utterly insincere 'apology' for what they claimed was a momentary lapse in editorial 'standards' (presuming they had any to begin with) when publishing several weeks ago in The Nation a wholly harmless persona poem by North Dakota, Fargo poet, Anders Carlson-Wee. In the imagined voice of a homeless disabled HIV positive street begger; that from the vernacular spelling of the language was assumed to be by those infuriated beyond all reason with the letters in it; a literary high crime and what would be, if the extremists had their way, a felony of cultural appropriation. The wholly unreal voice of a fantasy American that does not exist outside of the Reader's mind; as the Poetry Police prosecuted it; by the vernacular spelling alone was a profoundly hateful literary thought-crime of the most ableist, disrespectful, illist, insulting, libelous, offensively problematic, and quintessentially racist sort. That a lot of equally insincere social-media trolls got professionally offended about on behalf of a slew of communities they do not belong to; and cowed by a mob of hate-filled joyless morons Burt cast out Carlson-Wee from the bus, grovelled for forgiveness, and, with their Nation co-editor, solemnly renounced their decision to publish the harmless persona poem by Carlson-Wee, as a temporary aesthetic aberration. And, without even naming him in his apology to the vigilantes, Stephanie dumped the North Dakota poet's reputation into the crapper. Revealing, in one of the most culturally craven and editorially ignoble events in US poetry so far this summer; exactly what the ancient speckled art of praise and blame means to them, and what the true critical regard and quality of poetic eyes and literary integrity they were in possession of three weeks ago. None whatsoever. A decade before the Orwellian un-personing and sacrificial eradication of Anders Carlson-Wee's nascent professional self-identity by an institutionally all powerful mercenary critic-editor and their dishonorable fauxpologizing to appease an imbecilic mob of virtue signalling fascists for the newly invented social-media 'hate' crime of not being pre-cognitively attentive enough to the fake emotional sensitivities of people arrogating themselves membership of numberless communities they do not belong to for the sole purpose of pretending to be mortally outraged on behalf of them; Burt published a pseudo-intellectual piece of blurbastic propaganda in the Boston Globe: "The New Thing (2009)". In which the foreteller formerly known as Stephen, prophesied that the voices of a few unremarkable dead-white all male academics and Ivy League-like pals of his were at the forefront of an elite wave of spiritually superlative and culturally ultra-relevant incredibly contemporary mono-tenured poety poos practicing beyond the cutting edge and articulating ahead of time what the future of American poetry was likely to become when it established itself as: "The New Thing." I am very happy to be wrong, but what I would love to know - and as a wager am willing to bet the result will be zero - is how many disabled homeless African-American street-beggars with HIV voiced to the editors how terribly upsetting they found this Carlson-Wee persona poem to be on encountering it? When I first read about this I wrote a couple of pieces in response, publishing one on Carlson-Wee's Facebook before taking it down several days later, and now I see it looks like he has deactivated his account. This after the poor poet himself appeared emotionally browbeaten by the malignant zealotry created by the angry and illiterate emojinal social-media bigots and hypocrites that collectively coerced an artist into writing and publishing an apology that read like the odd and fearful literary equivalent of a hostage video in which the kidnapped prisoner is clearly saying whatever they are told to or feel they must in order to stave off further attack from the irrational and demented maniacs. Apologizing for an entirely non-existent language crime his entirely imaginary voice in persona did not cause in the empty selfish heads and shallow hollow hearts where swing on string the bricks of these anonymous and callously cold-blooded radically anti-intellectual dumbbell executioners of some ultra-nihilistic cultural revolution birthed from human jealousy, depression, misery, misanthropy, and a virulent highly destructive atavistic tribalism. Hunting in packs for heretics, apostates, and non-believers in their pie in the sky religion founded on the principles of hatred, anti-intellectual bias, censorship, mob intimidation, sweeping injustice, and a fanatically blind intolerance of everything and everyone that doesn't align with and share their insanely dangerous and unhinged, wholly incorrect perceptions of reality as an either or zero sum game and binary choice between 'us' and 'them'. And part of me wonders, if this is not a Conceptual art stunt, where's the apology to Carlson-Wee? Surely he deserves one, after being thrown to the wolves of the world wide web by the editors who exposed only that they were concerned about what total strangers on social media think and feel, and not at all concerned about the feelings of the person who wrote a poem they chose to publish, before labeling it problematic, and the imagination of its author all but ableist, and racist. Blaming the invited passenger for the clown-car crash they the designated drivers caused. They claim, whilst under the influence of some debilitating cultural intoxicant that removed their critical faculties, like Hillary Clinton blaming an underling for not telling her she was breaking the law. For the crime of writing a text in the voice of an entirely non-existent wholly fictional persona. The aural performance and source of which, as all literary creation, and as all writings are; is birthed, lives, exists, and is heard, performed and read solely at the bio-electrical synaptic level in the colorless, genderless spiritual imagination of the readers' and writers' silent aural minds. If s/he the genderless aural mind of Carlson-Wee had merely added an extra speech mark and two letters 're', to make the 'you', 'you're', we are supposed to believe that this would be acceptable and no offense would have been occasioned in the phony-fragile minds of the utterly insincere and humorless pseudo-intellectual social-media bardic trolls masquerading as literary Filí poets that speak only from the blame side of the poet's tongue, with nothing from the positive praise side about anything except when praising their own virtuous thoughts? Who learned to (not) write on the craft of the Tuatha De Danann people of the goddess Art, by studying on the many identical (rip off) American MFA (Toilet Paper) Poetry curricular. Not by grounding their practice in the Precepts of Poetry from the countless texts on the unimprovable original voluminous twelve-year set-textual literary Filí poet curriculum. The original Gaelic and English translations of which are easily accessible online, and you can get it all in apple pie order in your first language, after sixteen years joyously arduous cerebral slog. "Bard d(an)o: cin dliged fogluime is indtleacht fadeisin." "A bard, then: without the prerogative of learning, but intellect alone." When bardic intellects "without the prerogative of learning", are devoid of curiosity for the Filí curriculum, ignorant of Auraicept na n-Éces, the "Precepts of Poetry", they wander directionless without the discipline imposed by this felicitously fixed literary course. And without knowledge of the basics; amorphous, orderless, the perpetual beginner grade oblaire remains an "apple" at the bottom of Her poetry tree: fuirseoir gan dán, "a buffoon without skill". That will not transition through three bardic sub-grades: oblaire, taman, drisac, and without even knowledge of the two-leaved fochloc, "their art as slender as a sprig of brooklime" facing upward to diligently climb five more literary grades of poetic wisdom, then reach a "noble stream" of Anruth, "at the heart and in the middle of their disciples who are learning from them." Said to be named for four reasons: "the splendor of their teaching, for the numerousness of their interpretations, for the eloquence of their speech, for the extent of their knowledge. Indeed they are found in each division of learning, whether poetry or Latin learning, or historical learning, the only thing being that they have not reached the summit." Lessons of the seventh year a poet ought to know: the "servile/unfree" dóer-bard meters, brosnacha suad ("kindling/faggots of the wise"); the two divisions of it, dechnad mór, sned & trebrad "swift" & "plaiting". In year eight fiscomarca filed (“wisdom-tokens of the poet"); dúili berla ("living language"); clethchor choem (“fair palisade"). Reicne roscadach ("rhapsodic poems"); with laíde (another metrical form); number six is teinm laída ("chewing of the pith/illumination of your song"); (7) is imbas forosnai ("great wisdom that enlightens"), and (8) díchetal do chennaib na tuaithe ("incantation from your tribal head"). 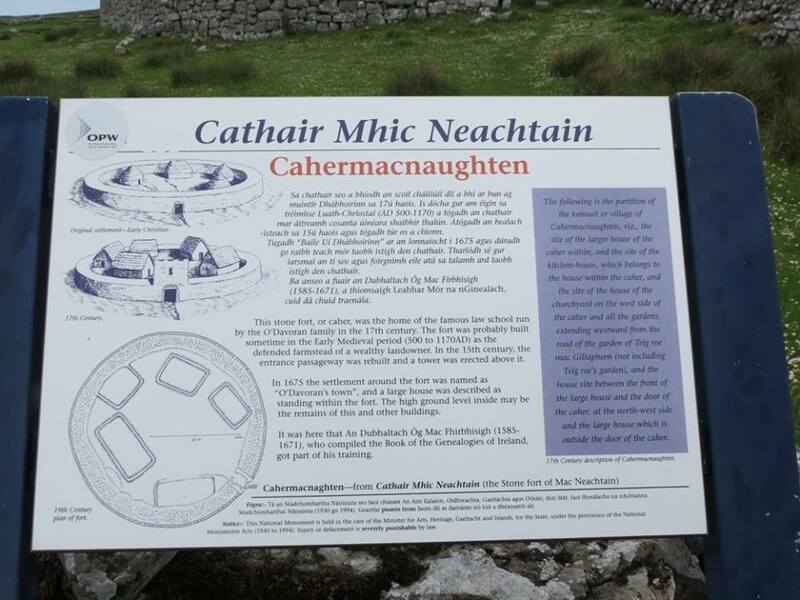 The penultimate requirement is the topographical dinshenchus ("lore of place-names"), one hundred and seventy-six remaining onomastic poems; plus "all the principal tales in Ireland in order to relate them to the kings, lords, and gentlemen. For the filí poet is not yet perfected." Year nine ... I could go on; but you get the picture, four more years to attain an ollavic ear, mind and tongue to hear think and air in praise and blame the voice in perfect balance that has reached the lofty height of "glorious profit", speaking the poet's spiritual song purely praising all Creation. Anamain. The Ollamh, Poetry Professor: "A great sage then, s/he does not apologize for their ignorance of anything in the four divisions of learnedness" (Latin, Law, History, Poetry), and one "who is not found to be perplexed in the mass of their craft." When "a bard, then: without the prerogative of learning, but intellect alone", never steps in through the door of otherworldly learning their aural results are quite plain to read. Blame-filled hate speech from untrained minds of the professionally offended masses masquerading as the warm kind praising prose of professionally trained literary lovers. As an American poetry friend told me when we communicated about this: "It's all about maintaining a reputation in the face of the p.c. hordes. I don't think it's possible for Burt or Wee to say what they really feel. It's pure fear which is operating." Style is truth to thought"
cart-wheeling naked on the high street. sweeping up and swilling down the yard. the subject matter of his next essay. well, grow a muzzy - any dodge going. hidden when love was terminal. always knew the score. Still does. tales by jumping straight in. connect them to angelus energy. a machine out of order..
..the machine is out of order. energy jolts to her brain. and travel through air as ether. bullet got shot through my skull." it took for his spirit to pass over. shade dissolved into Kathleen Ireland's earth. "Style is a function of theme. I overheard in the canteen at my local Poetry College on Aungier Street in Dublin city center south this morning, a table of year five bardic students talking about this very thing of "how mispronouncing names is a slight that can cut deep." The trainee literary poets undertaking the studies of the Cano ('cub/whelp') grade, from overhearing them, I deduced had been told by their tutor, an Anruth ('noble stream') student in the tenth year of their twelve year studies, Amhlaoibh Ó Deasmhumhna; to read and discuss this very subject. Of how consistently not getting the names of people, places and things right, is a sign of cultural imperialism and indicates how the dominant culture and its people do not value them. And can lead to exactly what we have today, specifically in the teaching of the basic principles of poetry, and in the wider culture generally. I am assuming that they must have been asked to read the article in preparation for their twice weekly class on Bretha Nemed Toísech, "The first Bretha nemed ('Judgments concerning privileged persons')". An 8C poetico-legal text defining and outlining in the highly arcane heavily alliterative and obfuscating Old Irish metrical rosc language; the rights, roles, honor prices, responsibilities, obligations and privileges of the various clerical, secular and bardic grades of Ireland's early literary people and poets. "The tale of a Portland, Ore.-area student with a traditional Chinese name who had her name garbled by a vice principal during an honors ceremony. Set to present the student with an award, the principal laughed at his mistake, drawing chuckles from the audience. The woman, who went on to become an educator, changed her first name to 'Anita.'" Another student they were calling Luighseach then spoke a diatribe of such offensiveness to me personally, that I reported her to the Head of Security Services of the Poetry College, Stíofáinín McBlert, who promptly issued an on the spot fixed-fine penalty notice for "inappropriate speech contravening the Community Standards problematic speech code", and a mandatory notice to attend a cultural awareness program. Though contentious, in the spirit of mature adult debate I am reprinting here what I overheard, as an example of what can happen when someone, unthinkingly perhaps, oppresses others with cultural superiority because s/he has not taken the time to learn and understand the most basic stuff in the culture of others. And as a cautionary example to the lower bardic orders toiling away in the mills of the American (MFA) Poetry Community seeking the linguistic light of truth one finds there in these eminent and noble Knowledge Factories teaching, training and turning out generation after generation after generation of poets in this ancient and illustrious MFA Poetry Tradition that curates the heart and reveals the soul of US mouth-music. WARNING. WARNING. WARNING. ADVISORY NOTICE. IT IS ADVISED THAT THE CONTENT BELOW SHOULD BE READ BY ONLY ADULT STUDENTS FROM DOSS/BUSH (FOUR-LEAVED) GRADE ONWARD. I, Siomha Ó Dálaigh, do not accept liability for any negative and distressful impact the below words create on the appropriately advised Reader. The views, thoughts, and opinions expressed in the text belong solely to the author, Duibhghiolla, and not necessarily to the author’s employer, organization, committee or other group or individual. "This anecdote could be wholly fictional as there is no footnote to who this 'Anita' person is. We do not know if it is real. Yet it is put in there and given quite a prominent place in this really lame argument that mispronouncing names is summat that should be up there with last year's craze of pulling down statues. Which, by the way, whatever happened to that? Where's the outrage over statues this year? I mean, it was of hugely pressing importance last year, out the blue, like an atavistic wave that rose up out of nowhere into the American psyche, and then ended as soon as it began after a lot of angry people smashed stuff up and blamed their doing so on anything and anyone but themselves. How do we know that 'Anita' wasn't some utter nightmare and diva who spun this tale and gave a wholly self-serving unbalanced and inaccurate version of events to an equally over-sensitive highly theatrical ambitious Facebook friend dreaming the current American dream of destruction and smashing stuff up? Filled with delusional transitory obsessions and dangerously partisan utterly childish emotion their ego is determined to peddle as factual evidentiary conviction for the beliefs of a delusional twenty five year old Wise Elder feeding on a radioactively negative social-media agenda of taking America out out out. In what this pap-culture hack and all their equally stupid ruthless luvvie literary friends in the echo-chamber of Facebook have arrogantly emoted is the right way forward because they all agree wholeheartedly and competitively more more more so, that America is no more. America is a foreign country and needs overthrowing by the kids. America is rubbish, the US is a shithole, half those in it need taking outside and left to perish. A cull is needed. Organized online by emotional projection artists feeding off the BS of each other and always higher and higher the level of total idiocy in the hyperbolic language these jokers claim to be using to spread love and peace, unity and hope, change and equality. Even though they perhaps may be 100% mistakenly certain all their ideas of smashing everything up is a positive cultural direction, when really they are behaving in a merely infantile manner and want to move the US in entirely dumb directions they imagine in their social-media bubble and ouroboros of full unhinged intellectually cannibalistic group-think; is not culturally backwards but, like, er, like, did ye see that guy, man, checkin 'imself out in the wall, like, checkin 'imself out in the wall, man, like, did ye see that guy, like, like, like, checkin 'imself out in the wall, man. Like, like, like. And not a word on what the adult in the piece, what the Principle has to say on 'Anita''s theatrics. I mean, is there video of this event where she was so offended about the mispronouncing of her name she flounced out? And the principle who allegedly made a joke of their mispronouncing the name? It is lazy unbalanced reporting by not having their voice air their own version of what happened. They could well say, for example, that 'Anita' was a nightmare student who he spoke to precisely once and he was baffled with her behavior, and learned later she had been suffering from some psychological condition and was on meds, totally bonkers and under the doctor, that big pharma had sunk their claws into the family and all of 'em were on ten different meds a day for made up phony psychological conditions that are a testament to the power of big pharma, capitalism, and cultural and social dysfunction in America today. Perhaps he could make a few calls, get back to the journalist. Break the news that those that taught her, complained she was a problematic student with a raft of anger and identity issues and views that were were grounded in a deep anger about imperialism, that she blamed the US for all the world's ills and harbored unrealistic expectations of what society owed her; but she had been allowed to develop and propagate them because of the current culture wars. Though the principle perhaps would not voice this opinion in public. Where language is patrolled and policed by the intolerant not at all liberal left's version of the Saudi and Iranian Morality Police, always alert to any transgression of a strictly enforced code. Be it on the streets of Portland, or in an extremely problematic poem in the voice of a fictional persona speaking in vernacular spelling that proves problematic and unacceptable speech to the self-appointed Art, Behavioral, Cultural, Literary, Moral, Political, Social, Poetry & Thought Police of the United States of America. Fully qualified expert American MFA (Toilet Paper) Poetry professionals, pro-actively patrolling the (English) American language; detecting literary crimes, applying pressure, lobbying editors, tweeting instances of concern, conducting campaigns, and battling the many domestic enemies and hate preachers seeking to spread the evil creeds of ableism, anti-feminism, anti-LGBTism, bigotry, disrespect, hatred, intolerance, misogyny, racism, and intellectually illegal and emotionally upsetting linguistic sectarianism of any kind that contravenes the Language Police Community Standards. Hunting in packs for heretics, apostates, and non-believers in their pie in the sky Poetry Religion founded on the principles of hatred, anti-intellectual bias, censorship, mob intimidation, sweeping injustice, and a fanatically blind intolerance of everything and everyone that doesn't align with and share their insanely dangerous and unhinged, wholly incorrect perceptions of reality as an either/or zero sum game and binary choice between 'us' or 'them'. Hyper-sensitive and zero-tolerant to any 'problematic' pronunciations, spellings and arrangements of letters that may cause alarm, concern, emotional distress, fear, intellectual injury, and personal discomfort whilst on the online public commons. Speaking only from the blame side of the poet's tongue, with nothing from the positive praise side about anything except when praising their own virtuous thoughts. Seeking only to safeguard the American Language homeland from Linguistic Nazification; at the front line, guarding against the creation, promotion, and publishing of any transgressive textual creations and poetically problematic compositions that are published without an accompanying public warning and editorial apology for any offensive and morally unacceptable illist, ableist, racist Thought that went into composing the form of spellings in the most annoying, obnoxious, horrid, repulsive, odious and vile Facebook comments, Tweets, Instagram posts and persona poems." I made the very courageous decision to publish this disgusting hate speech after becoming inspired by the very brave academic, critic, and unproblematic transitioning language artist formerly known as Stephen Burt. On reading their profoundly courageous and moving Apologia on the pages of The Nation several weeks ago, when they fearlessly stepped up to the plate and addressed the world on behalf of those committed, concerned, and most caring bards in the American (MFA) Poetry Community, on the subject of the pervasive and problematic cultural awareness issues they themself had unwittingly been a part of. Until realizing on more focused critical and cultural analysis and contemplative reflection that the text of a recent poem they published in The Nation, was in fact problematic. And the regrettable decision they and their co-editor made was wholly the fault of the North Dakota, Fargo poet in whose head it was created, and who was thankfully unpersoned in the Apologia by the caring sensitive Harvard academic making this noble decision for the betterment of civil US relations, and as a model example of Leadership in the area of Free Thought. The problematic poet in question has rightly deactivated his social media and is currently reflecting on the hurt and distress the entirely fictional voice that was created and exists in a wholly cerebral realm, caused and created in the minds of the superlatively civilized and highly educated rank and file members of the Professional Poetry & Language Police, who were mortally offended on behalf of a community of imaginary disabled American street beggars with HIV that use the spelling 'you' to communicate 'you're'. It was heartening to read so many in the American MFA Poetry Community stand up and lend their voices to support a voiceless marginalized community, and air their outrage and disgust about this first sign of literary Fascism. That must be hounded out of existence as soon as it appears, in order to keep the poetry world and its many diverse communities safe from harm. Showing immense knowledge, wisdom, kindness, warmness, and a thoroughly detailed understanding about the entire concept of poetry being a vehicle for effecting cultural change, unity, global peace, and the universal love of humanity by all right thinking peoples.